Dan Weinheimer is the Deputy County Manager in Routt County, Colorado. He graduated from Syracuse University with a BA in History and Sociology, from the University of Southern California with a Master of Public Administration and has completed the Senior Executive Institute (SEI) at the University of Virginia. Dan’s work experience has included stops as a Management Aide in Torrance, CA; Associate Analyst in Carlsbad, CA; Administrative Analyst in San Marcos, CA and Policy and Project Manager in Fort Collins, CO. His current role in Routt County provides management support to the County Manager and to County Commissioners while directly managing the Emergency Operations, Planning, Building and Environmental Health departments. Dan has been involved in both ICMA and regional assistants groups throughout his career. 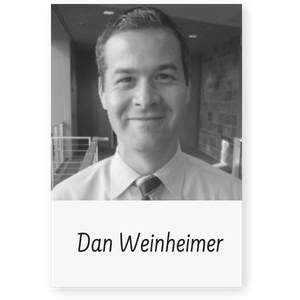 Since 2012, Dan has been an active member of ICMA’s Government Affairs and Policy Committee (GAPC). He also was a member of the ICMA Breaking Into Local Government Task Force in 2011. He served the Municipal Management Association of Southern California (MMASC) first as San Diego Chair and ultimately as President (2010-11). He has supported the Colorado Emerging Managers and Engaging Local Government Leaders (ELGL) while in Colorado.